On a quest to be healthier and find healthier alternatives for body products, I discovered Castile soap and I honestly fell completely in love. I use it on my hair, face and body. It is a 3-in-1 product and saves me space in the shower. 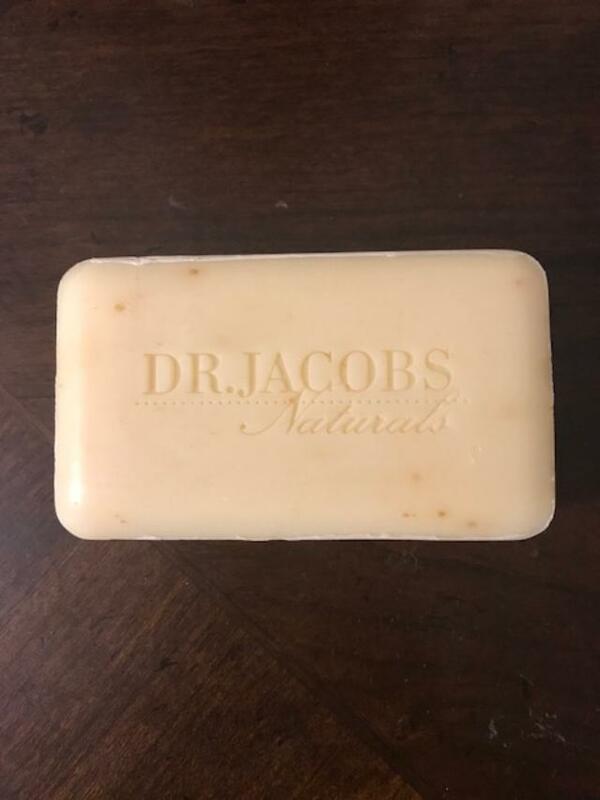 I recently discovered Dr. Jacobs Naturals and their castile and bar soap and I couldn't be happier. Their scents are AMAZING!! I received the Castile Liquid in Almond Honey, Peppermint, Shea Butter and their new Charcoal. 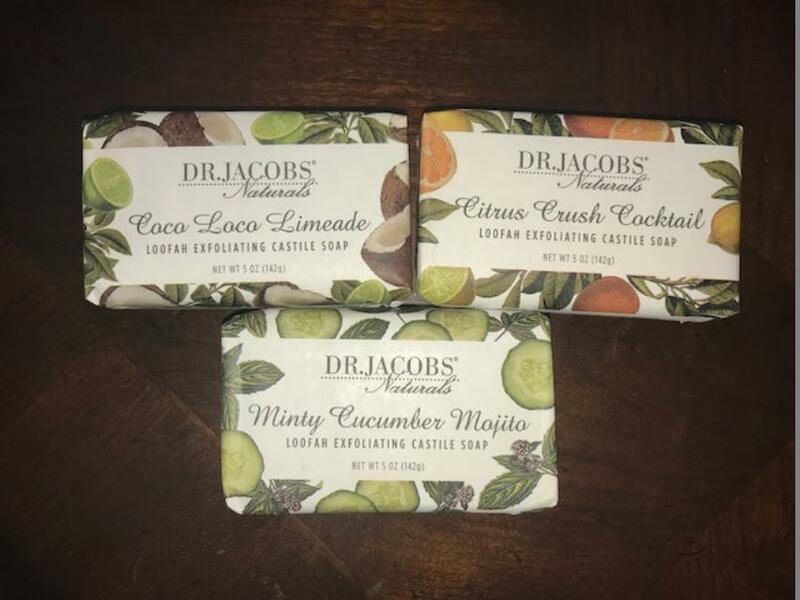 And I received their bar soaps in Coco Loco Lemonade, Citrus Crush Cocktail and Minty Cucumber Mojito. The liquid castile soaps are the miracles. 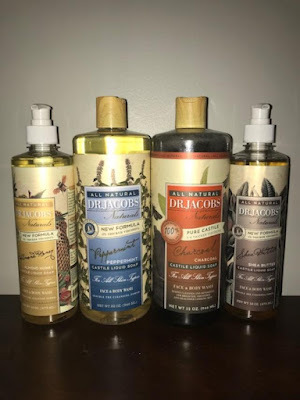 They can be used on your entire body and clean everything perfectly and well, plus you'll be cohesive with scent so you'll smell the same all over your body. Castile soap is very different than regular soap and shampoo. Shampoo sits in your hair, after you rinse it still leave a residue. But castile washes out CLEAN and your hair will not feel silky smooth at all, but this is GOOD!! Your hair will finally be cleansed of buildup and will be the hair it should be. And your hair will likely be more greasy, but again, this is GOOD as most people overproduce oil (and our shampoo causes this). But over time your hair will be gorgeous and lustrous and will feel smoother. I promise, but give it a few weeks!! Don't give up!! My favorite has been the Almond Honey, but also the Charcoal as it's good for cleansing of toxins. 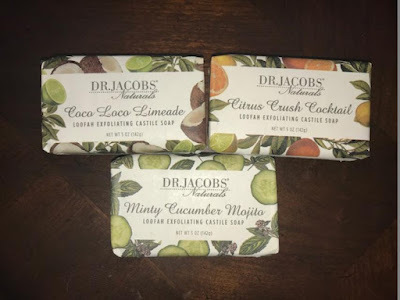 The bar soaps are awesome because they are loofah exfoliating castile soap bars. Again they will wash and rinse clean so your skin may feel 'grippy' (best I can describe) and not silky smooth, but once you're dried off you'll feel fine and it's more moisturizing to your skin than traditional soaps are. They can be drying, but castile doesn't do that. I'm in love with all my new products and am confident that I'm using the best possible products for my body/hair and health! Castile: Citrus, Coconut, Eucalyptus, Lavender, Rose, Sweet Tea Tree and Unscented. I love using Castile soap. I put it in my foaming soap dispenser. 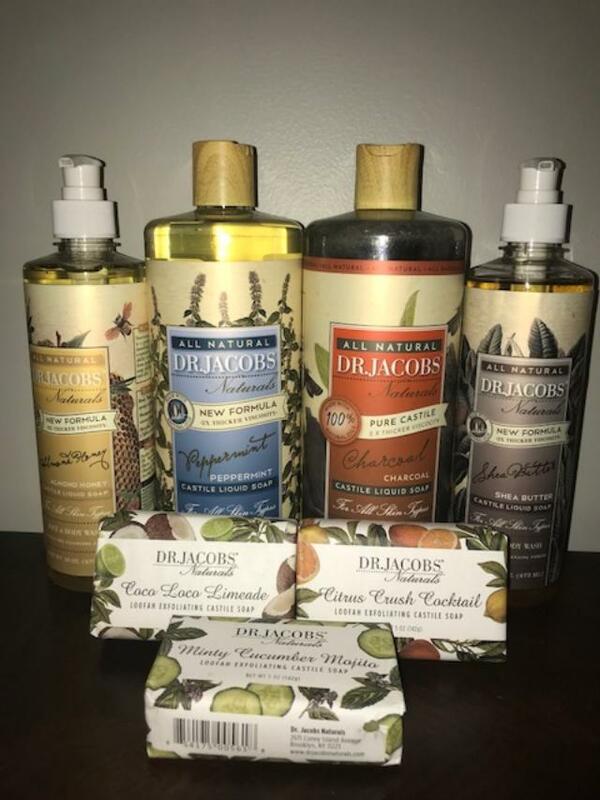 I know I would love Dr. Jacobs products. The scents seem wonderful.